Domino’s Pizza, Inc. is an American company that specializes in pizza restaurants and is currently the largest pizza chain worldwide. The company’s headquarters is located in Ann Arbor, Michigan, US. In 1960, Tom and James Monaghan bought DomiNick’s, a pizza restaurant that was owned by Dominick Divarti. 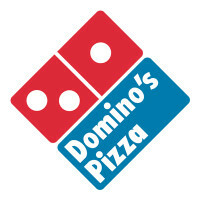 5 years later, Divarti prevented the company from using its old name, so they changed it to Domino’s. In 57 years since its foundation, in 2017, the company had generated $2.47 billion in revenues, owned more than 13,000 restaurants worldwide, and employs more than 290,000 employees. The pizza chain offers a variety of benefits for its employees, such as employee discounts when they eat at one of the company’s locations, a healthcare insurance with vision and dental coverage, paid vacations, and flexible working hours. Employees who have worked for the company applaud their experience there because it is a fun place to work at and they get free food which helps them with their financial matters. How old do you have to be to work at Domino’s Pizza? The minimum age requirement for applicants who want to apply for an entry level job at one of the company’s restaurants is at least 16 years old. The company offers fulfilling careers for people with hard work and winning attitudes in the chain’s corporate department, stores, and supply chain. Customer Service Representative: The main responsibility of customer service representatives is to provide excellent customer service for the chain’s customers. They educate customers about the store’s products & services, perform tasks asked by customers, listen to any concerns, answer phone calls, and they can also take orders. Delivery Driver: Delivery drivers drive the restaurant’s delivery cars to take the products to their designated destinations. They need to be good drivers since the food should always arrive fresh and hot to the customer’s house. Aside from that, they must also avoid breaking traffic rules because that can add additional losses for the establishment and they are also responsible for making sure that the delivery car is road worthy. Assistant Manager: The tasks assigned upon assistant managers can vary. They make sure that the staff is performing their duties, take and serve orders, check the size of servings, restocking supplies, operating the cash register, and providing customer service. Assistant managers need to have leadership skills as they need to lead the staff. Pizza Maker: A pizza maker’s job is to make the pizzas that the restaurant offers. They mold the dough, add sauce & toppings, prepare ingredients, and they can also prepare other foods like stuffed bread. Since pizza makers prepare meals, they need to groom themselves and follow the rolls and guidelines in sanitation and food preparation to ensure the production of high quality pizzas. Shift Manager: The job of shift manager’s is to manage the establishment’s operations during a certain shift. They lead other employees to make sure they do their jobs, provide customer service, and observe the quality of the food that the restaurant serves. Cashier: Cashiers work at the establishment’s counter and operate the cash register. They record the customer’s transaction and receive payment. Because their work requires that they talk to the customers, they must present themselves properly. Additionally, cashiers must be quick so the restaurant can serve more customers. General Manager: General Managers have a variety of responsibilities. They manage the staff, oversee the establishment’s food production, prepare the paperwork, and report to their higher-ups. At the end of the month, they prepare the staff’s salary. They can also make decisions for the establishment to promote the company’s interests. Inventory Controller: The job of inventory controllers is to keep an accurate record of the company’s goods and equipment in in the computer systems. They also make sure that the stocks are always enough and make orders when they are not sufficient. Sanitation Team Member: Sanitation team members do a lot of different jobs. They can sweep and mop floors, clean windows, and dispose trash. They make sure that these jobs are done in a hygienic manner so the restaurant can be as clean as possible. Recruiter: The job of recruiters is to persuade applicants to pursue a career in the company. They find people that are qualified to work at the company. Recruiters need to have sales talk skills which can help them in pushing applicants to join the company. The first step for applicants who want to pursue a career for the company is to submit a fully accomplished application form at one of the chain’s restaurants. If they currently can’t access the nearest Domino’s Pizza, they can also try an online application. Applicants just have to access the careers section of the company’s website. In accomplishing the application form, applicants need to make sure that they read the form first so they can think about what to put on the form and make sure that it is neatly filled up. For the resume, job seekers should write only the credentials that are relevant to the job and company that they are applying for. They must also use proper headings and fonts so the resume would be easy to read. Applicants who are selected to be part of the interview process must prepare for it by researching and preparing their answers to the commonly asked interview questions. The restaurant chain’s culture revolves around making sure that customers get what their money is worth, and more. Being passionate and innovative are traits that each of the company’s employees must have. In 2018, Credit Suisse announced that the company grew by 3% and is “one of the best” food retail stores and that the company would continue to best its competitors. Domino’s Pizza is known for being the biggest pizza restaurant chain worldwide and for selling high quality pizza, dessert, pasta, sandwich, and chicken wings in their restaurants or by delivering them to the customers’ doorsteps with their excellent delivery services. To help the community, the company launches a yearly fundraising event named St. Jude Thanks and Giving. Aside from the company’s donations, customers can also lend a hand by giving their own donations when they eat at one of the company’s restaurants. The events proceeds go to St. Jude Children’s Research Hospital. 1 How old do you have to be to work at Domino’s Pizza?